Pioneers in the industry, we offer digital ultra low temperature chamber, low temperature chamber, digital temperature chamber and temperature cycling chamber from India. Electrical Connection 415 V AC +/- 10%, 50 Hz, 3 phase/N/PE or 230 V AC +/- 10%, 50 Hz. We are authorized manufacturer and supplier of Ultra-Low-Temperature Chamber. These bearings are made-up of high-grade raw material and are manufactured in our fully equiped manufacturing unit. Our raw material is sourced from our reliable vendors in the market. products are easily available in market at industry leading prices. We are one of the well-known organizations engaged in manufacturing a wide array of Low-Temperature Chamber. Our products are fabricated using high-grade raw material which we procure from trusted vendors in the market. We ensure optimum performance to our esteemed clients. Our products can be availed at reasonable prices. 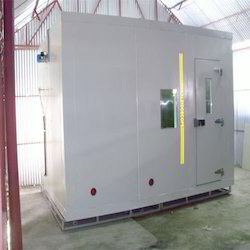 Our clients can avail from us Temperature Chamber, which is fabricated keeping in mind the requirements of our clients and the latest market trends. These are used in various electronic testings, electrical components, pharmaceuticals, boards, r & d and quality control departments. Available in various chamber capacities, temperature range and finishes, our products can be availed at market leading prices. 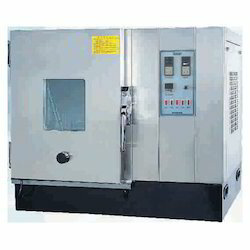 We are one of the prominent manufacturers of Temperature Cycling Chamber, that is used for the purpose of testing of electrical components, pharmaceuticals and storage of food products. All our products are insulated using fibreglass wool or polyurethane foam insulation.